LISBON (Reuters) - It would be "morally repugnant" if the world fails to ban autonomous machines from being able to kill people without human involvement, U.N. Secretary-General Antonio Guterres said on Monday. 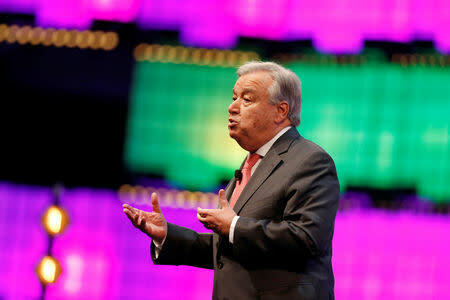 Speaking to Reuters during the Web Summit technology conference which opened in Lisbon on Monday, Guterres praised the "enormous benefits" of new technology. But he said it was crucial that the world works to avoid "autonomous machines with the power and the capacity to take human lives on their own without human control". "This is the kind of thing that in my opinion is not only politically unacceptable, it is morally repugnant and I believe it should be banned by international law," he said. 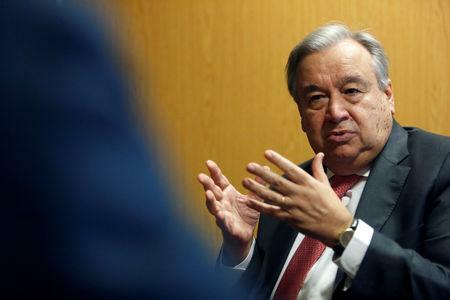 Guterres, who is Portuguese, said there is currently no international consensus that "international humanitarian law applies to cyber use in conflict situations", making regulation of autonomous weapons used in conflicts more difficult. "It is an area where I believe the international community needs to come together," he said, adding that the United Nations could work as a platform for cooperation of cyber space to create codes of conduct. "The worst thing we can be is naive and ignorant optimists." 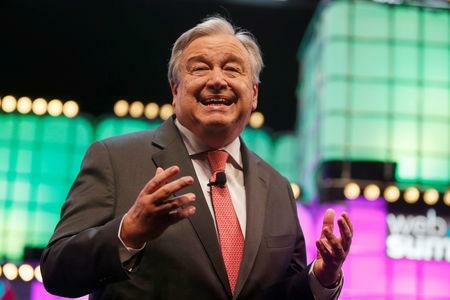 Still, Guterres said international divisions could make cooperation on cyber space more difficult, especially at a time when there is a new trend to question "multilateral mechanisms which are the only way to answer global challenges". "It is clear that technology is an ally," he said, pointing to areas such as alternative energy.